I usually like to post my own recipes on this blog. However, there’s no need to reinvent the wheel, especially when you stumble across a perfect recipe that’s easy and delicious every single time. You know, those “keepers” that everyone needs in their baking repertoire. This recipe is one of those special gems, as evidenced by previous posts here and here. A simple thing really, it’s nothing but a tender cake with a toothsome crumb topped with melted, roasted sweet fruit. 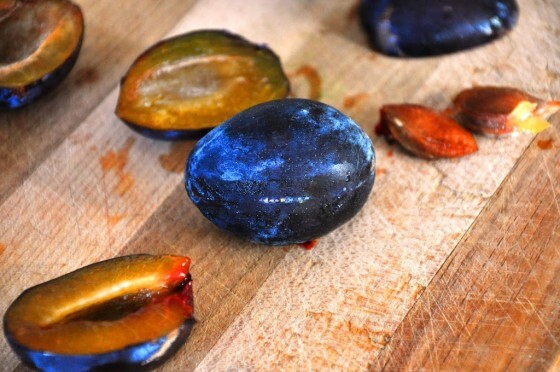 It’s absolutely perfect with Italian prune plums (as the original recipe calls for), but is lovely with any seasonal fruit. I like to brown the butter first, then add a bit of lemon zest for a nutty and sweet background that lets the fruit shine. You can you all purpose flour, half whole wheat flour, or 100% whole wheat pastry flour. 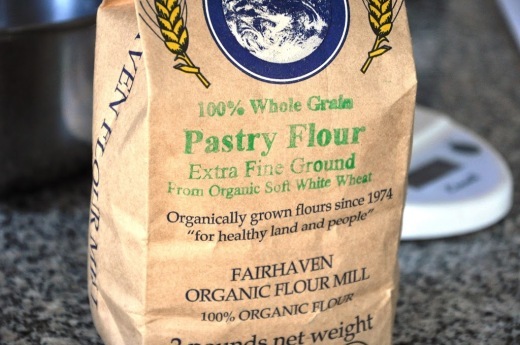 I’ve been using a local whole wheat pastry flour from Fairhaven Organic Flour Mill, made from Lynden, Washington-grown soft white wheat. Their flours are available in Seattle area Whole Foods, Central Markets, and and PCC stores. 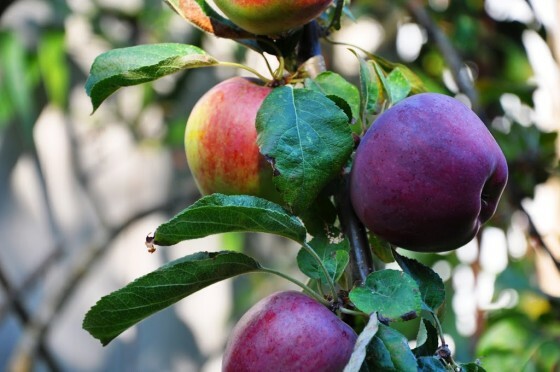 Unfortunately for you, your neighbors might not be the kind that drop off crops of ripe fruit, or worse yet, they might be the type that throw kegs til three in the morning (hey, I have some of those too! ), but consider this recipe my gift to you. 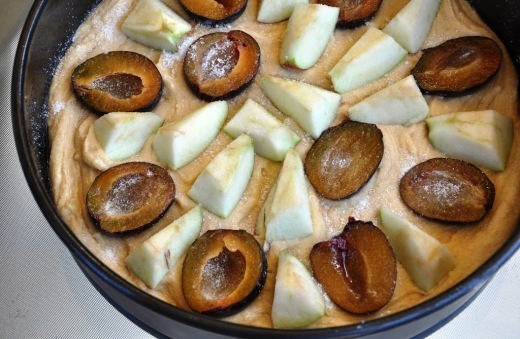 Make this torte with any fruit—plums, peaches, nectarines, cherries, berries, apples, pears, cranberries, whatever you have! Just adjust the sugar accordingly considering the tartness of the fruit. 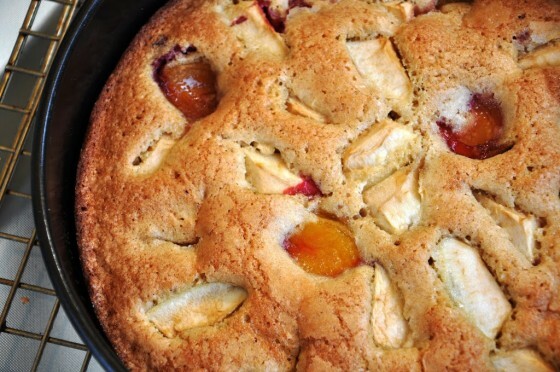 This recipe can be doubled if you desirer a higher cake; just pour half the batter into the pan; arrange half the fruit, top with the remaining batter and remaining fruit. A double cake needs an additional 15-25 minutes of bake time. Prep the pan. Coat a 9-inch spring form pan with nonstick spray and set aside. Preheat the oven to 350°F and adjust the rack to the lower middle position. Brown the butter. Cut the butter into chunks and melt it over medium heat in a sauté pan (preferably not nonstick, so you can see the color of the butter change). Let cook until the foaming subside, the butter gives off a nutty fragrance and the milk solids begin to turn golden brown. Remove the butter from the heat and scrape into a bowl. Freeze for 15 minutes until solidified but still softened. Cream the butter. In a large bowl, cream the browned and cooled butter with the sugar and the lemon zest for 3 minutes, until lightened in color and fluffy. Add the eggs one at a time and scrape the bowl after each addition. Add the dry ingredients. Sift the flour, baking powder and salt onto to the wet ingredients. Fold together with a spatula until combined. Spread the batter evenly in the prepared pan. Add fruit. 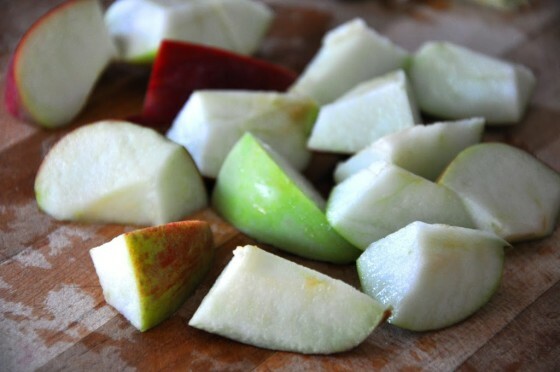 Arrange the fruit over the top of the batter, cut side up. Sprinkle with additional sugar if desired. Bake for 40-50 minutes, until a toothpick inserted into the center comes out clean. Allow to cool completely on a wire rack before serving. Alternatively, the cooled cake may be triple wrapped in plastic wrap, sealed in a zip top bag and frozen for up to 6 months. Looks divine. I can practically smell that cake, with your luscious photos. Love the idea of putting plum in this dessert.